Lauded as "urban regeneration", this development makes many of the same mistakes of urban renewal. We were sorely disappointed _ and disturbed _ at this development. People had told us that it was the future of Barcelona; if this is so, then Barcelona is in serious danger. 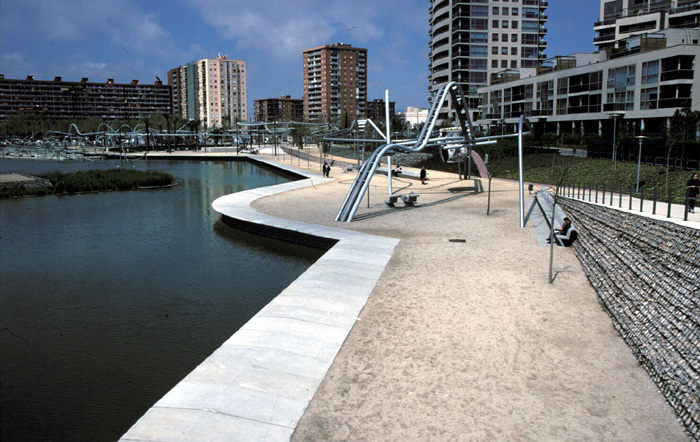 Diagonal Mar is good planning, architecture and landscape architecture in only the narrowest senses of these disciplines. We like to think this park was designed by lawyers, who have taken all preventative measures necessary to ensure nothing can happen here. The residential towers are isolated in empty plazas which give you the impression that you are only meant to drive up to them (in fact, we only saw cars going to and from them). 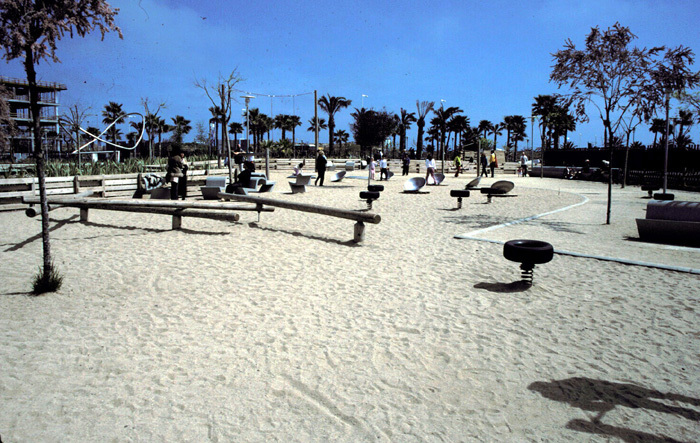 The uses are all separated within the development, and even within the park area efforts have been made to cut off uses from each other. 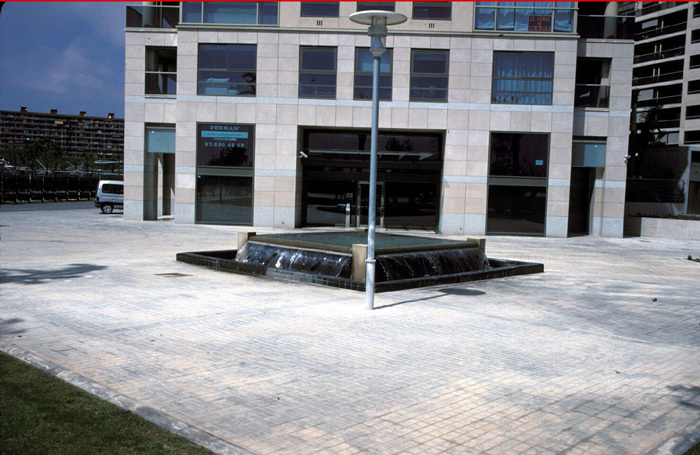 The design of the buildings and shopping center also contribute to the "look but donÍt touch" attitude. Unfriendly to anything but cars, the high rise buildings seem to exert their ownership and control over the vast park areas. Deemed a mixed-use development, the only pedestrian oriented area is inside a large, blank-walled, suburban style mall with a retail plaza on the roof. 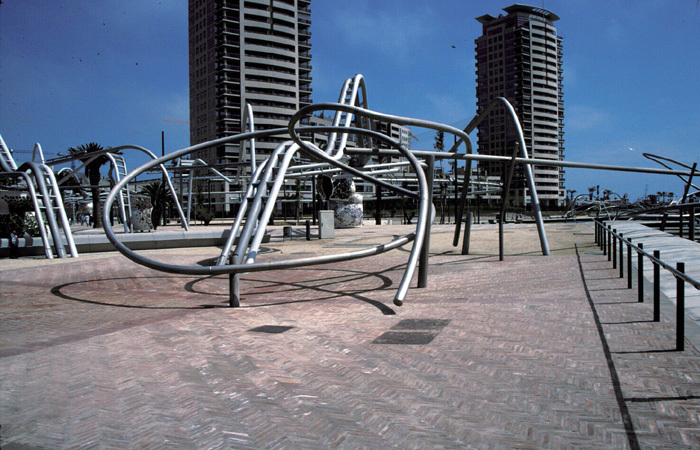 The landscape architecture, while replete with novelty, natural beauty, ecological design, public art, games, recreation and aesthetic quality, never rises past a series of abstract, limited and disconnected experiences. For example, at no place can you really connect directly with the natural environment, to the extent that nowhere can one touch the plentiful water. Particularly offensive is the fact that at no place are you invited to linger or connect with others, as activity areas and amenities when provided, are isolated from each other and decidedly unaccommodating. Lastly, there is limited invitation to stroll through this park let alone the surrounding streets. The entrances are extremely weak, there are no real destinations and the path system seems built only to support the imposing design statements of the contrived "natural features", the incomprehensible public art, and the large voids surrounding the building foot prints. It is an accomplishment to have spent this much energy and money and not have created any spaces that have the potential to take on a life of their own, to support cultural, social or economic activity or to simply attract more people. The many ecological design and green building achievements seem rather unimportant in the context of a development that fails at its fundamental purposes. However, what is most apparent and most unfortunate, is that this development and its abundant open space are almost entirely placeless. 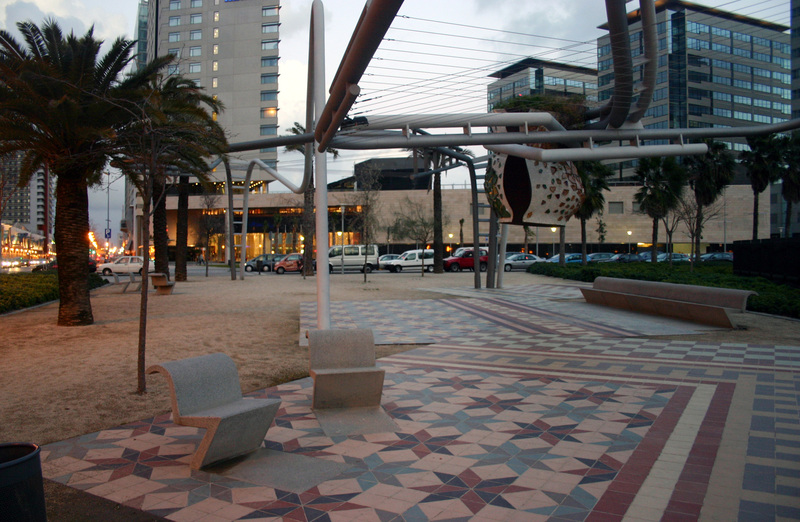 ´ To Barcelona's Mayor, Joan Clos, Diagonal Mar is an urban development disaster, despite winning an Urban Land Institute Award for Excellence. Clos has blamed low density planning for the lack of social and economic life in the district. There are few people on the streets and public space, shops or bar terraces are little used by the neighbours. 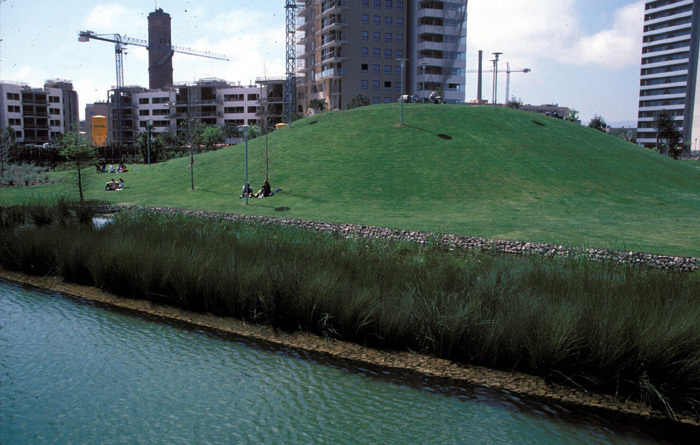 According to Clos, Diagonal Mar's housing densities of 48 dwelling per hectare do not contribute to building a sense of the city. Density determines the nature of community life and the kind of city created. Future projects should involve the recovery of higher levels of density. ´ The developments are geared to the upper echelon foreign visitors and the younger middle and higher income groups rather than the needs and desires of an increasingly ageing permanent population. 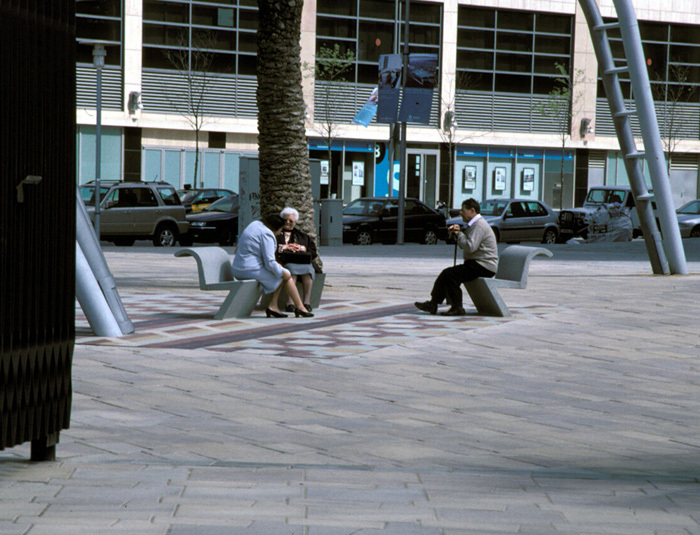 ´ The success of Diagonal Mar may rely on the reversal of counter-urbanisation trends prevalent within Barcelona (and all western cities). ´ Is Barcelona really ready for a revolution in shopping habits? The local markets are still thriving, convenience foods are difficult to find, many of the young remain at home until their late twenties, and the traditional family unit, although under increasing threat, is still strong. Currently, only 12% of Barcelonans use their car to go shopping. 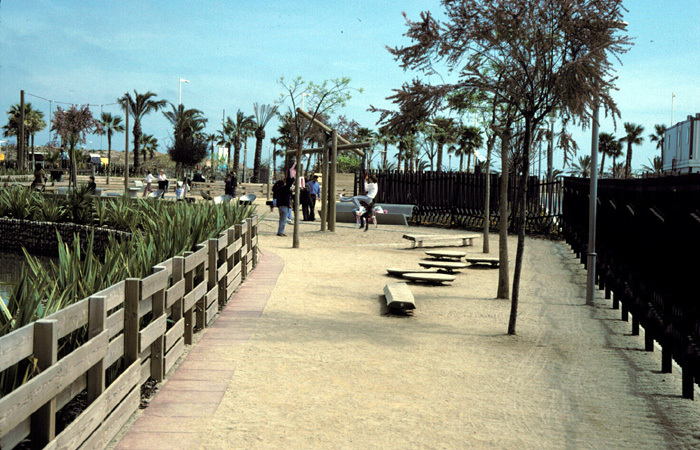 ´ Diagonal Mar caters to a hedonistic lifestyle, criticised by Jordi Pujol (the former leader of the autonomous government) amongst others. 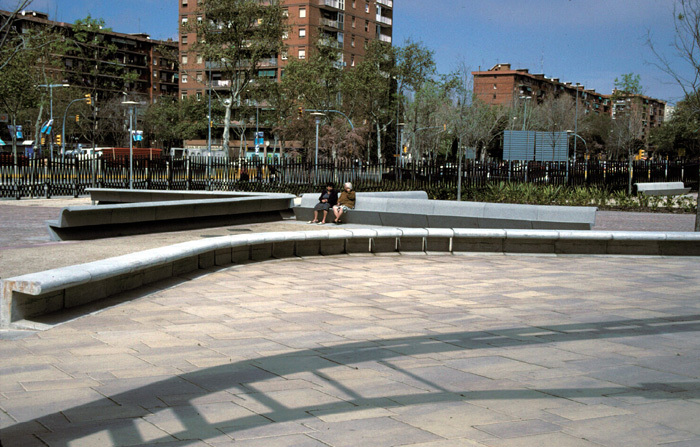 ´ Diagonal Mar relies on direct road access from Ronda Litoral (exit 24). This area of motorway sees queues of 5 kilometres or more build up on a regular basis. In addition, this stretch of motorway is largely tunnelled - an uninviting prospect or regular queuing and a potential safety hazard.